Jason Wecker joined RKF as a Canvasser in 2015 and was quickly promoted to Associate. 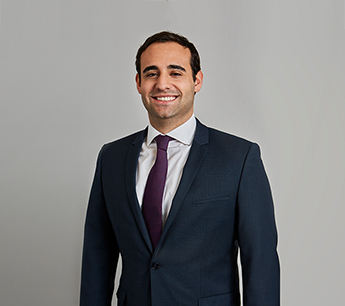 Prior to joining the firm, Jason worked as a canvasser at Winick Realty Group, where he helped to support the New York brokerage team. Previously, he was an analyst at Edge Wealth Management, a boutique wealth management firm catering to high net worth individuals. Jason earned a Bachelor’s Degree in Finance from the University of Miami. He is a licensed salesperson in the state of New York and a member of the International Council of Shopping Centers. He is also actively involved with Friends of Israel Defense Forces (FIDF) and on the board of Steve’s Camp, a camp dedicated to empowering urban youth.